Bitcoin continues to chart bearish lower highs along the 50-candle moving average on the 6-hour chart. The immediate bias remains bearish while the cryptocurrency is held below that average line, currently at $3,450. Recent history shows bull failures at the 6-hour 50-candle moving average are often followed by a drop below the recent low. BTC, therefore, risks printing fresh multi-week lows below $3,322 (Jan. 29 low), having faced rejection at the crucial moving average hurdle earlier today. A convincing 6-hour close above the moving average resistance will likely weaken bearish pressures and allow a corrective rally toward $4,000. 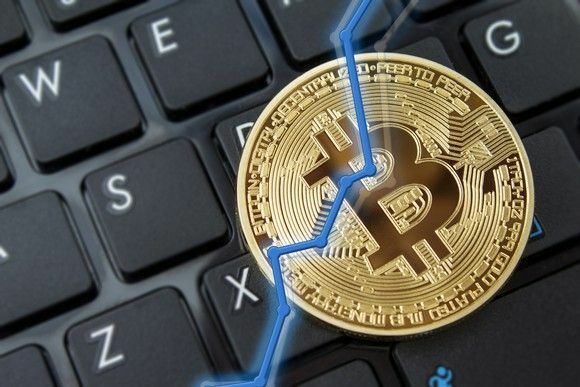 Bitcoin (BTC) price gains may be capped by a key moving average that has been acting as stiff resistance since mid-January. The leading cryptocurrency by market value jumped to $3,445 earlier today, confirming an upside break of a falling wedge – bullish reversal pattern – carved out over the last six weeks. The breakout failed, however, and BTC ended up charting a bearish lower high near the 50-candle moving average (MA) on the 6-hour chart. Notably, that average line has put the brakes on a number of attempted corrective rallies over the last three weeks. For instance, bitcoin’s quick recovery from lows near $3,400 on Jan. 22 had triggered hopes of a stronger recovery rally. That price bounce, however, failed to clear the 6-hour chart 50-candle MA for four days straight and the repeated bull failure was followed by a drop to $3,322 on Jan. 29. Hence, the bulls will likely feel emboldened if and when that MA hurdle is convincing scaled. As of writing, BTC is changing hands at $3,367 on Bitstamp, representing a 1.6 percent drop on a 24-hour basis. The 50-candle MA on the 6-hour chart is seen at $3,450. As seen above, BTC has charted bearish lower highs (red arrows) along the downward sloping (bearish) 50-candle MA over the last three weeks. What makes it a strong short-term resistance is that after every rejection the price has hit a bearish lower low. So, the probability of BTC printing fresh multi-week lows below the Jan. 29 low of $3,322 in the next day or two is high. After all, the cryptocurrency faced rejection at the 50-candle MA earlier today, invalidating the bullish view put forward by the falling wedge breakout. Also supporting the bearish case is the Bollinger band breakdown (acceptance below the lower band) and the relative strength index (RSI) of 35.00. Bearish pressures would possibly weaken following a convincing 6-hour close above the 50-candle MA at $3,450.